I must say, I love films and TV shows about time bending realities, where the central character grapples with forces beyond their control or comprehension. I never tire of watching Bill Murray railing against his looped Punxsutawney eternity in Groundhog Day, or Jennifer Garner trapped within her unrecognisable future self in 13 Going On 30. And now it appears we could well have a new classic in the genre, all ready and perfectly primed for your Netflix bingeing pleasure. Russian Doll – which is currently enjoying 100% Rotten Tomatoes critics score – has all the makings of your new favourite show, written with plenty of humour, mystery and big questions about life. 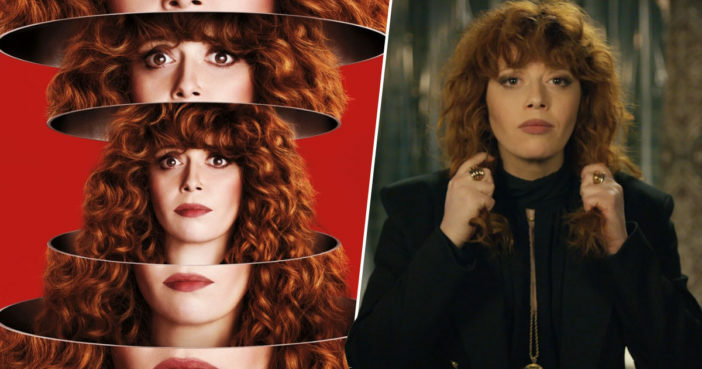 With stellar comic credentials behind its conception, Russian Doll was created by Amy Poehler (Parks & Recreation), Leslye Headland (Bachelorette), and star Natasha Lyonne (Orange Is The New Black). 39-year-old Lyonne has once again proven herself to be hypnotically watchable. In Russian Doll she fully inhibits Nadia, a woman who finds herself locked inside a 24 hour period. This mini time pocket resets and reboots with her death, which happens with wince inducing regularity despite her excessive caution on staircases. Nadia keeps dying and reliving her 36th birthday party. She’s trapped in a surreal time loop — and staring down the barrel of her mortality. Like, what if there was a show with a female protagonist that was just kind of an existential, spiritual, relationship-based — meaning like a true relationship between humans — show? The rumors are true…Russian Doll is very good. Lyonne’s portrayal of Nicky in OITNB has consistently stood out in what is an ensemble of well-developed and memorable characters. A TV series which orbits around her dry wit and deadpan delivery would be a treat enough. That Russian Doll is a confident, gorgeous show with the potential to expand to multiple seasons while holding our attention is a rare gift. You can – and should absolutely – stream Russian Doll on Netflix right now.